Since its inception well over a decade ago, there has been little change to the AEG motor, or for that matter, the AEG grip. There have been improvements in torque and speed output, but very little about the actual design of the motors and the grips that house them has changed. 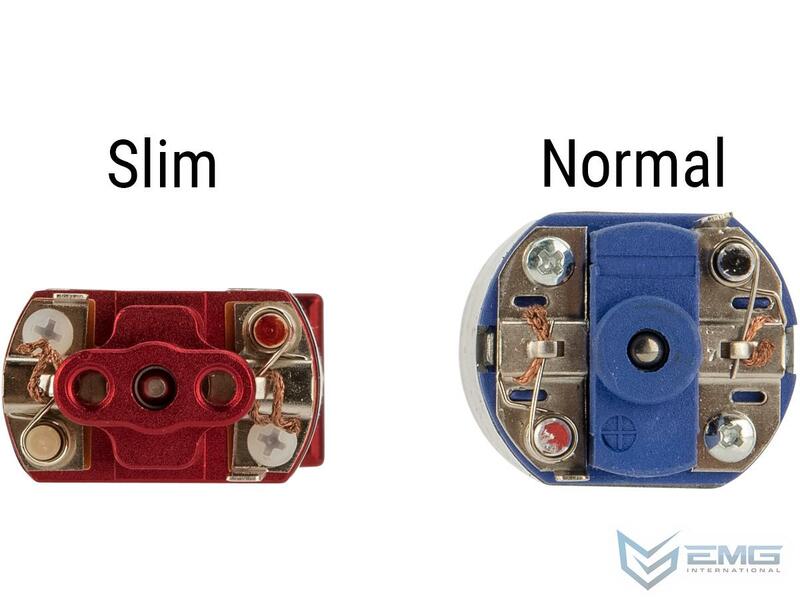 All of that is about the change thanks to EMG / ARES new Realistic series of slim line motors and motor grips. One of the biggest selling points of PTW style AEGs is their slim and realistic motor grip and one of the more common complaints about regular Marui style AEGs is that the motor grips are too wide, and dont feel like the real thing. 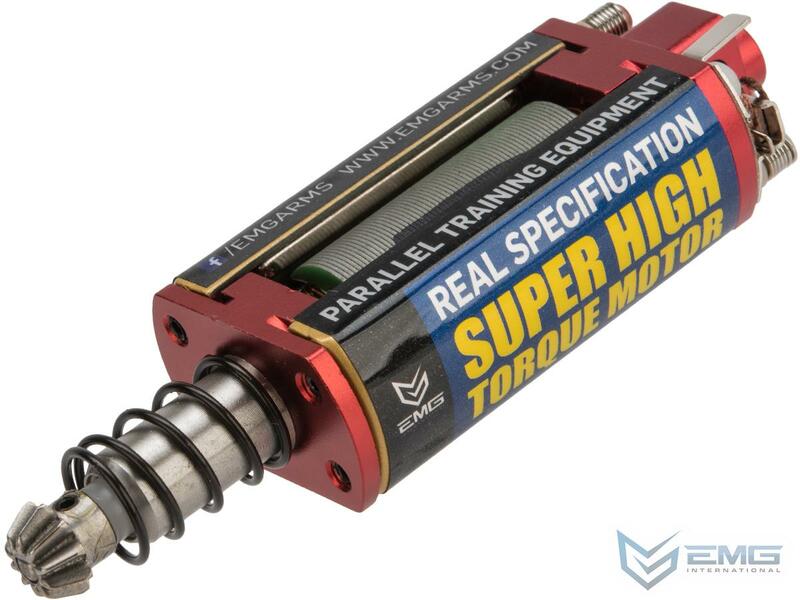 ARES has heard these concerns and through extensive research and development, has developed a new style of motor that is slimmer and more compact than the original AEG motor without sacrificing the compatibility that the original motor enjoys. The Realistic series of motor and motor grips from ARES give the user a more realistic and all around more comfortable shooting experience. The EMG / ARES Realistic grips are compatible with most popular Tokyo Marui spec. 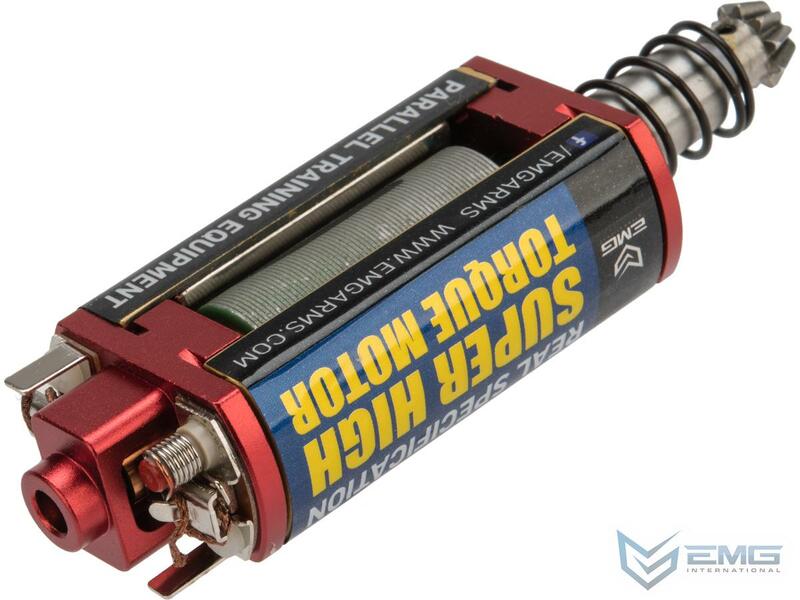 M4 AEG receivers with little to no modification required.